Ben Boswell (FH 2000-02) is the Development Director. 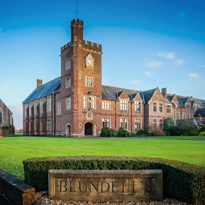 His role is to foster, in all those who care about Blundell's, a lifelong interest in sustaining its principles and securing its future. He works closely with the The Head, Bart Wielenga and the School Governing Board, together with the Chairman of the Old Blundellian Club and Committee to support the Old Blundellian network. The Development Office is currently based in the old school tuck shop. The office is situated between the Second Master's office and the Mathematics Department. The office is also shared with the Marketing Department. The Development Office is supported by Lucy Quinn.